Welcome to 20631 Sapphire Lake Rd - this one floor, 4 bedroom, 2 bathroom home in a master planned community of Fieldstone in Richmond, TX! Beautiful brick home with thoughtful and lush landscaping, double driveway with remote control garage access. Covered front entry to escape on those rainy days and inviting refinished front door and brick entry. Your mud-like entry with hooks and coat closet to conveniently hang your workbag, keys and backpacks. Your view as you enter in yourfront door. To the left is a family room separated by a beautiful archway that can be used as a game room, toy area, hobby space. Another view of the family room with vaulted ceilings for the spacious feel. Gorgeous engineered wood flooring through and neutral color paint for easy decorating! Formal dining room with detailed archways, vaulted ceiling and wood trim. Note the openness of the front entry. Perfect for hosting! You can set the adults' table in the formal dining and children in the family room during the holiday meals. As you continue in, on the left is your breakfast room and living room. Note again the engineered wood flooring flows right into this space as well. Lots of soothing natural light, this light and bright home has light color grey walls for easy decorating and a gas log fireplace and mantel for the Christmas stockings. Large living room that is 26'x15' that can comfortably fit a sectional, accent chairs and coffee table. Fantastic floorplan with a wonderful flow to and from the kitchen! Your kitchen well packaged with stainless steel appliances, stunning skylight, low maintenance laminate countertops and walk-in pantry. Kitchen opens so well into the breakfast and living room! As you wash dishes or prepare meals you can watch your children and/or be part of the party as your guests socialize! Miles of cabinetry and plenty of counterspace for your use! Now let's see all your bedrooms! This is the first secondary bedroom towards the right of the home. Large bedroom with vaulted ceiling, walk-in closet and cozy carpet. Bedroom #1 is 12'x10' a great size for a full or queen size bed, dresser and book shelf. Bedroom #2 is to the left with carpet, ceiling fan and a neutralpaint color for easy decorating. Bedroom #2 is 12'x10' and comfortably fits a full or queen size bed and side table and reading nook. A Jack and Jill bathroom with access to the hallway for guests and connects to Bedroom 3.Lots of counterspace with a shower and tub combo. Bedroom #3 makes an ideal baby room or office as it is closest to your bedroom, the master suite! Bedroom #3 is 10'x12' perfect for a crib, toddler bed or home office desk. It is also conveniently connected to the bathroom with walk-in closet and thoughtful detail of chair trim. Unwind in your master suite with soothing neutral walls, cozy carpet, lots of natural light and a plenty of space for a queen or king size bed with dresser and side tables! Another view of the master suite is 16'x13' offers TWO walk-in closets, ceiling fan and vaulted ceiling that gives a spacious feel! Large mirror with double sinks - space for each partner! Your second walk-in closet and linen closet is in the bathroom suite as well! Melt away in a hot bubble bath in your garden tub or take a quick warm shower in your separate standing shower! Exit from the backdoor in the living room and step onto your Texas size patio! Good amount of green space and absolutely manageable! Patio wraps around to the back corner of the home which allows plenty of space for seating and BBQ pit! Invite your favorite people over to celebrate birthdays or host a BBQ or a crawfish boil! Your children, grand children and/or fur babies can pick up a game of soccer or catch in this green space. Playset can stay! Storage shed stays as well! Fieldstone is a 400 acre master planned community...where luxury meets comfort! 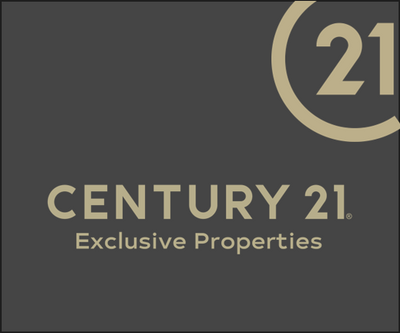 Conveniently located close to 99, Westpark Tollway and 90 and surrounded by delicious restaurants and grocery stores and shopping at La Centerra! Plenty of walking paths which fan out from the central amenity center. Great way to keep active with an evening walk/run. Welcoming serenity pond, a place to relax and take in our beautiful Houston sunsets as they reflect off the calming water. Your children/grandchildren will love the playgrounds filled with swings and slides throughout the neighborhood! Luxurious Recreation Center includes a kitchen and fire pit available to the residents to rent out to host the baby showers and birthday parties! Resort-style pool area includes an adult lap pool and water park slide on one side and a kiddy pool with a shaded beach on the other. Something for every family member to enjoy! It can all be yours!